Court injunction on Muslim ban. Mass murder in Canadian mosque. The federal Justice Department quickly petitioned the 9th U.S. 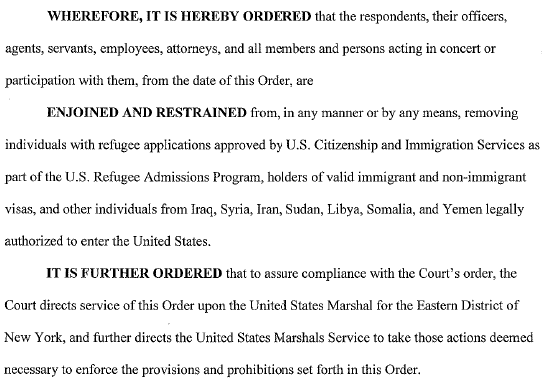 Circuit Court of Appeals to terminate the District Court's temporary injunction, and restore the travel ban. "... lawyers for the states of Washington and Minnesota said a temporary hold on Trump’s executive order banning travel from seven predominantly Muslim nations should remain in place until a lower court determines whether the order was unconstitutional. The state of Washington cited a litany of problems caused by the order. More than 7,000 non-citizen immigrants from the affected countries live in Washington, the state told the appeals court. Sunday, JAN-29: Time Magazine's web site reported on the reactions of politicians in Europe towards President Trump's immigration ban. "Donald Trump should be allowed to enter the UK in his capacity as head of the US Government, but he should not be invited to make an official State Visit because it would cause embarrassment to Her Majesty the Queen. Also on JAN-29, the 9th Circuit Court of Appeals rejected the federal government's petition to immediately restore the ban on Muslims. The Court asked both the state of Washington and the Trump administration to file additional arguments by the afternoon of JAN-30. This raises an interesting possibility. If the matter is subsequently appealed to the U.S. Supreme Court, there is the possibility that the High Court might give a 4:4 decision. That is because the Republican-dominated Congress violated the U.S. Constitution during 2016 by refusing to hold a hearing for almost a year on President Obama's nominee. 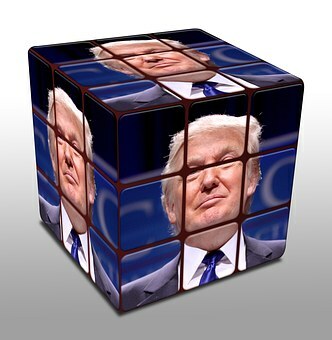 He would have replaced former Justice Scalia who died in early 2016, leaving the High Court with an even number of Justices, and making a tie vote possible. If that happens, then the Court of Appeal's decision would stand. Sunday evening, JAN-29: A lone gunman entered the Centre Culturel Islamique de Québec, an Islamic mosque in Quebec City, Canada, armed with an AK-47 Kalashnikov 7.6 mm assault rifle. It was about 8 PM, as evening prayers were ending. He murdered six men praying in the mosque, and wounded perhaps 18. (Media sources differ on the exact number of the wounded; they range from 5 to "dozens."). He apparently discarded his assault rifle in the snow in front of the mosque, and escaped by car. Multiple people phoned the city police to report the incident. About 17 minutes after the first 911 call to the police, another man called. He discussed the shooting, said that he felt guilty for what he had done, and that he was going to shoot himself. He parked his car on the Island of Orleans bridge which connects the mainland at Quebec City to Orleans Island in the middle of the St. Lawrence river. Police officers from the Tactical Intervention Group located the caller by triangulating on the location of his cell phone. They took the caller into custody. 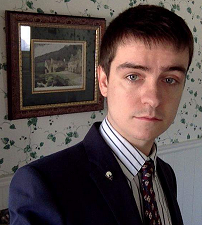 He was identified as Alexandre Bissonnette, 27, a student at Laval University. Bissonnette was born in Quebec and has lived there during his entire life. He has been charged with six counts of first-degree murder and five counts of attempted murder. "Mr. Bissonnette was well known to people who monitor far-right groups in Quebec, where he frequently commented on [web] sites speaking about immigration and Islam. He was a particularly vocal supporter of Marine Le Pen, leader of France’s far-right National Front party, when she visited the city last year." 8 More details. For dozens of photographs of Bissonnette, Google the words: picture Alexandre Bissonnette. His photograph on the Patheos.com web site is labeled: "Christian Terrorist."